We live in a truly messed up and Orwellian world if you will. In many parts of Europe, interest rates are negative. Savers “pay” for the privilege of banks to hold their money, lenders pay sovereign treasuries to lend, new homeowners who borrow to buy property are paid to borrow. This situation where borrowers get paid and lenders pay also exists between banks which is really strange because you would think bankers understand money and interest …just a little? As a question to set the foundation, I ask you this; if you could sell something today for $100 and be contractually guaranteed to be ABLE to buy it back 30 days later at $99, would you do it? I hope your answer is not only yes, but you return with “how many times can I do this, it’s free money?!”. In the real world, this is called arbitrage. Rarely does the condition ever exist on a single exchange, normally when it does exist it happens over two or more exchanges and even time zones. The discrepancy can be miniscule as billions of dollars scan the globe 24 hours a day looking for this situation and lock the profit in until there is no more to be had. Arbitrage is a big business and for the most part, RISK FREE. The condition described above is called “backwardation”, the remedy is ALWAYS arbitrage. Please notice I bold printed three words, “able, risk-free, and always”. Starting with the first word “able”, if we changed that word to either possibly or cannot, the whole equation changes as the trade is no longer risk free and will not ever be done without risk assessment. As I understand it, physical gold is in backwardation in London and silver in Asia. Why has not big money stepped in and arbitraged the “guaranteed” profits out of these markets? The answer of course is that the profit is not guaranteed. The reason backwardation is persistent is because the fear of not being able to get your metal back 30 days into the future. It is being deemed by the market that gold today (a bird in the hand thing) is more valuable than a “promise” to get it back in 30 days …because promises are made to be broken! The fear obviously exists of a failure to deliver in the future, there can be NO other explanation why physical gold in hand is more expensive than gold 30 days in the future. If you would like to tell me that the situation exists because interest rates are negative then please explain to me how interest rates can be negative and the logic behind it! Andrew Maguire spoke of this again last Friday, he also spoke of the new “Allocated Bullion Exchange” (ABX)which was set to begin in late April and has been pushed back a few weeks. I must confess to giving out incorrect information last month, I believed this was an offshoot of the SGE, Shanghai Gold Exchange, it is not. Their homepage is up but not yet fully functional. ABX intends to arbitrage the differences between the various global gold exchanges …on a PHYSICAL basis. In other words, when one buys they ask for delivery and when one sells they will deliver the real product. We will soon see how willing the shorts are to pummel metals prices with weeks or even months worth of global production “on paper”. I believe it is entirely possible to see LBMA cleaned out and followed by COMEX of their inventories within a very short timespan. An operation as such would not require huge amounts of capital, $10-$20 billion should be more than enough to do the trick! After writing the above, news has come out the IMF board meeting to discuss China’s inclusion to the SDR has been postponed. A decision and announcement must be done prior to sometime in October. I am still of the mind that China will put their cards on table and include audited numbers. Will they request or even demand an audit from the other players? I don’t think they have to overtly, by auditing their own gold they are “politely” asking the others to provide proof of theirs. I point this out because of the connection involved between backwardation and whether or not the Western powers really do have the gold. The connection is of course the “supply” and whether it will continue to be forthcoming. The arbitrageurs seem not willing to take the risk it won’t be, not even for 30 days. Otherwise the backwardation would not exist. If the supply has in fact been surreptitiously coming from Western vaults and questions come regarding official numbers, the supply may discontinue and the “I want my gold” moment will be at hand. As Andrew said, “this will accelerate the process of re set”. I agree and would add, it’s been a long time coming, the tail should never have been allowed to wag the dog but then again, in what world do borrowers get paid to borrow? A hit! Right on the head of the nail Bill. A long time coming and more than overdue. I think the IMF and LBMA, along with the COMEX pulled down the covers to have a good, hard, long look at the consequences of the Yuan inclusion in the SDR and changed their minds. So they have as quietly as possible, pulled the covers back up and over this issue, because the consequences are just to horrible for them to face! The funny thing is, China agrees! I think because they can see this era of cheap gold ending too soon for them. They are not ready yet, as they want to add as much bullion at these “fire sale” prices as possible. Besides, they want to shrink their still massive foreign reserves, while the USD still has some perceived value left. China may have possibly already “shrunk them”. Word (speculation, perhaps) is that this was done at the request of the central banking cartel. They are apparently scared that the inevitable Greek default combined with a Chinese gold disclosure will be too much for the cartel to manage. It’s better from their perspective to spoon feed bad news to the public in smaller bites than to give them the whole load in one dose. And so, the show goes on … for a little while longer. But there is no speculation China wants to be included. Bill: the IMF/China/SDR decision (quite obviously unilateral given the overwhelming desire of the Chinese to have the RMB globally recognized) is just another case of kicking the can to buy some precious more months for the great Ponzi. It is, however, curious that it is being pushed off until the Fall. So many ominous things are supposed to happen then. I have a sinking feeling that something very “wicked this way comes”. 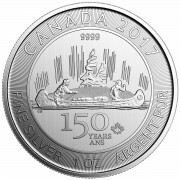 With backwardation, do you also expect to see the premium for gold and silver bullion to increase? I don’t understood why bullion stores even sell their gold and silver now. Wouldn’t it make more sense to close shop and hold onto the inventory? we will know it is game over when the premiums do expand. Coin dealers do not work from their own inventory, they act as a middleman between the wholesalers and customer. It should be an interesting next six months, until that IMF decision on China and the SDR: Greece on the literal precipice, JADE HELM (which I believe will be an operation to arrest local and holdout Cabal members), stock market long overdue for a serious correction/crash, ABX beginning its operations, etc. Keep up your fighting spirit, Bill, and your great work! I will, please see my article for Thursday on that. I have been called the most patient man in the world, but the constant news to just wait for another six months has worn me out. I do feel however that something big is about to happen in the next six months and it may lead to a dictatorship in our own backyard. Bill……..Why does China have to wait until Fall (Sept/Oct) for the IMF to decide on the SDR or some other crackpot decision? What happened to the Singapore Gold exchange that Jim Sinclair would only be a physical exchange and wreck the COMEX/LBMA phony paper gold exchange? that is one exchange, ABX will arbitrage ALL exchanges and do it on a physical basis …the end. Just did a bit of ‘surface digging’ on the newly proposed ABX or “Allocated Bullion Exchange”. Then compared their “game plan” with another newly created gold trading vehicle, the “Allocated Bullion Solutions Singapore”. Frankly, I don’t see that big a difference between the two! They even share the same key word “ALLOCATED”. 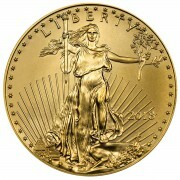 Neither one will offer vault space of their own, relying on “established” global vaults, containing “allocated” bullion. These two (IMHO) ‘financial trading vehicles’ differ little from hiring a precious metals broker, which the creator of ABX is the CEO, Tom Coughlin of “Bullion Capital” is as far as can be asertained, is nothing more than a precious metals brokerage. Again, to be the owner of an “allocated bullion account” means you have a piece of paper “saying” that you own gold. 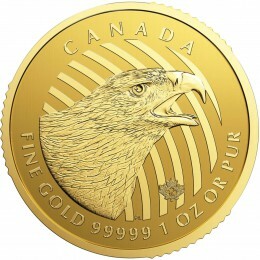 When push comes to shove, I would much rather have the physical bullion ownership in my possession, thank you! “allocated” being the key word. China knows that the RMB will not be allowed to be included in the SDR basket, but asks for it anyway, to give the IMF (and the USA) the opportunity to “Officially Deny” the RMB inclusion into the SDR. After the Official Non-Inclusion of the RMB into the SDR, China announces that they will conduct trade using Physical Gold, at the same time Offering to buy gold at a very hhigh price (for example RMB 1 million per gram)? What happens to the other currencies and their relationship to gold? THAT would be a very interesting combination! G8 This current post is very interesting. I like the way you think. As well as a past post on how the debt can be paid off via the “price” of gold. Anything suggesting RMB would not be included in the SDR? Lagarde has already stated it is not a matter of IF but WHEN RMB is included. USA will not have a say in this matter and has refused to sign off IMF reforms.IMF seems to have taken the path of proceeding without US co-operation. In an extension we may see US veto position disappear. could only be after a currency crisis. If you buy futures contracts on comex and stand for delivery, they make you settle in cash. Gold and Silver are nothing like Hogs or Wheat or any of the other commodities for which futures contracts are issued. Gold in particular has no real supply issues,unlike the softs. It is correct to say that Gold should never be in Backwardation and since it first occurred in 2008 I believe it is happening on a more regular basis. Although it is temporary backwardation during rollover months the mere fact that it is happening is showing that there is something seriously wrong with world finances and trade. As you say it is all about trust…will you get your gold back? The question remains, how long can the charade continue? Possibly a lot longer than most people think and certainly not till interest rates start to rise. Yes if you are keen to speculate that this solid base of support will hold. Is money in the bank a better option, not really. What was that about living in interesting times? all roads lead to gold. Think I saw this before at the County Fair. Had something to do with knockin’ over milk bottles. this one is over my head Gig. It’s all a rigged facade. Thank for your commentary. I am a patient gold investor, but I still do not understand how this new Exchange will lead to a break up of the COMEX games. If the EXCHANGE busy gold on the COMEX at their manipulated lower price, they will be settled out in cash. So how does this help gold reach its “true price”? the key is this is a physical exchange, COMEX cannot “just settle in cash” if the buyer refuses to accept it. But couldn’t COMEX just offer higher priced cash settlements? Like just as an example,…couldn’t COMEX say: “If you settle your gold in cash we’ll give you 1200 per ounce plus a bonus of 200 that you saved us in fuel and other expenses that would have been created by the actual delivery”. This way it doesn’t increase spot price. I’ll admit I don’t know how these markets work but this scenario seems plausible. what makes you think they are not already doing this? My guess is that the Allocated Bullion Exchange (ABX) will be located in London, England, since Andrew Maquire is one of the 50 bullion traders included within the ABX, Andrew Maquire is located in London, and China has a large hoard of gold in England. You are right that ABX is not an offshoot of the Shanghai Gold Exchange (SGE), since it should be attached to the Shanghai International Gold Exchange (SGEI), which has been selling Chinese gold on a “Cash and Carry” basis, denominated in Chinese Yuans. Both the SGE and the SGEI are separate and independent branches of the Peoples Bank of China (PBC). Sure COMEX may have escape clauses that allows settlement with GLD or even Cash but should this be the result of ABX requesting delivery, it would likely be exposed and be similar to admitting default. As Jeff Christian (Head of CME group) testified to CFTC paper gold trades 100:1 to underlying metal. A default situation would result in the markets drying up instantly as physical metal would be withheld. The make believe world is soon going to transition back to the real world. Precious metals will return to physical price setting not paper. Paper fiat will return to its real value NOTHING by itself…accepted if backed with gold. Society will refuse to believe in anything but what they can confirm for themselves. Yes. Bill many are easily fooled and swayed. But this time they we be awakened into reality so severely that it will take decades of deprogramming for them to become complacent again. In fact I suspect that the World will change beyond our ability to comprehend. The question for me is….Will the SDR simply be another fiat or will it be backed by something real. Thanks Bill. I read just recently that central banks are showing interest in applying for membership into LBMA. What reason would they want to become members if physical gold is in short supply in western vaults? not sure, and not sure they want to become “members”. Andrew Maguire spoke of this again last Friday, he also spoke of the new “Allocated Bullion Exchange” (ABX)which was set to begin in late April and has been pushed back a few weeks. 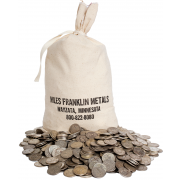 Does Miles Franklin plan on offering Exchange Access to their retail clients? Has management discussed or investigated this possibility? compete with our institutional clients for downstream business”. This would imply that a Miles Franklin client who wished to invest or trade on the ABX would need to go through a broker, if I am interpreting that correctly. And of course a Miles Franklin client would naturally wish to go through Miles Franklin. Thank you for all your missives. thanks Macray, we are strictly a coin dealer and cannot trade on this exchange.